Although the era of the popular Big Bands, led by the likes of Count Basie and Duke Ellington, is gone, the Big Band saw another incarnation in the form of free jazz and experimental improvisation. 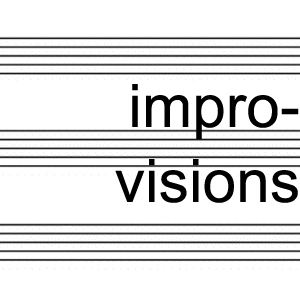 In America in the 1970s, jazz musicians such as Sun Ra, Ornette Coleman, John Coltrane, and many others realized the potential of large groups of improvisers, while collectives such as AMM and MEV were harnessing the power of group improvisation in Europe. This contemporaneous exploration of free improvisation in a Big Band setting, where multiple soloists were pitted against each other, deconstructed the traditional solo/accompaniment dynamic, and explored the multi-timbral sonic possibilities of large groups, producing some of the most dynamic and engaging music of the era. 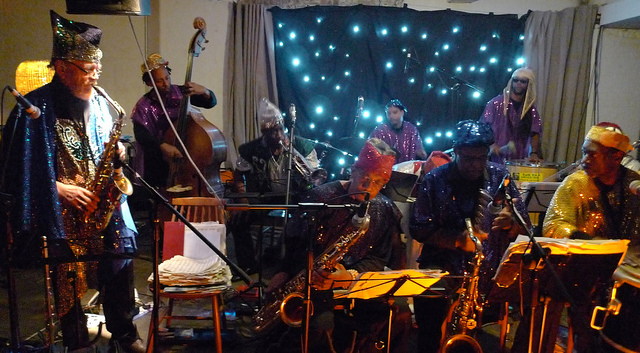 This show features Big Bands of improvisers from across the boundaries of genre, time, and place - a very short sampling of large group improvisations, including the Taj Mahal Travelers, the Promenade Theatre Orchestra, Horace Tapscott and the Pan-Afrikan Peoples Arkestra, and more.